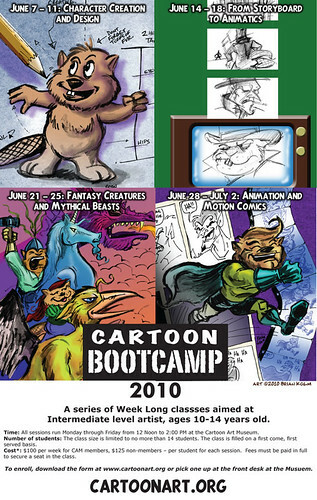 I just confirmed that there are still spaces available in the Cartoon Boot Camp Classes at the Cartoon Art Museum this Summer in which I will be the teacher. The classes are going to be lots of fun and really exciting I think. Learn the engineering of character design: Construction, Costume, Store, and more! This class will focus on learning the structure so that you can draw what you imagine.